Yes – Coconut Oil is a Healthy Fat! We NEED saturated fats in our diet – fats from animal products and coconut or palm oil are essential. We need them for energy, cell membranes, to make hormones, and pad organs. Visit Weston A. Price.org. The “dangers” of saturated fats were first pointed out by the vegetable industry (follow the money). By hydrogenating oils this industry promoted margarine etc. as a healthy replacement for “dangerous” butter and saturated fat. Now we know that these hydrogenated oils are trans fats and they are deadly. When we study traditional cultures that have never consumed the man-made oils that we consume, we find them eating the traditional oils like coconut oil and palm oil – and heart disease and cancer are virtually unknown in this population. I eat grass-fed beef, organic butter, and raw unrefined coconut oil to get saturated fats in my diet. Coconut oil makes you lean because it is converted quickly to energy and is not stored as fat. This increases your metabolism, helps you lose weight, and increases your energy. Eating low-fat diets causes your body to crave fat. Eating healthy fats and oils will lower your appetite and cravings for food. You will feel satisfied. 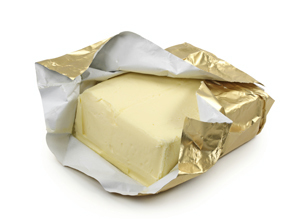 Saturated fats are necessary to absorb the fat-soluble vitamins such as vitamins A, D, E, K, and B12. The MSNBC report stated that food manufacturers are replacing trans fats with tropical oils. The reporter worries that saturated fats are artery clogging. Please read my recent post on why we need saturated fat and how the government continues to spread the myth that all saturated fat is evil. The problem – the real artery-clogging problem – is the processed grain foods containing sugar and refined vegetable oils. It is the processed junk that we don’t want to eat – the cookies, chips, baked goods and packaged foods. So if you are asking me if it is ok to eat coconut oil – the answer is absolutely yes! If you are asking me if it is ok to eat processed foods that contain coconut oil, the answer is probably not. Coconut oil can be found in grocery stores and on the internet for household use, palm oil is a bit harder to find. Start by using 1 Tbs a day and then work up to 2 – 3 Tbs per day. Use these fats to sauté veggies or fry eggs. Add coconut oil or coconut milk to a smoothie. Here is a study from 10 years ago. Here is more to read on coconut oil and weight loss. Wilderness Family Naturals is the brand I use. This is truly raw and unrefined coconut oil and tastes great. Kerrygold Butter or other organic butter from pasture-raised cows.